Mechanicstown drivers can see that the Civic is one reliable vehicle. For the last few years, Honda has been routinely upgrading their compact sedan and coupe, and the 2014 Honda Civic has stood the test of time. There are still some excellent used 2013 Honda Civic models available, though. These model years are both great, but the 2014 Civic has some key changes. Which used Honda Civic is going to be better for you? You can see them for yourself at Middletown Honda, or read on for more information. Four-Cylinder Engines – The 2013 Civic’s 1.8L four-cylinder engine released 140 hp and 128 lb-ft of torque. 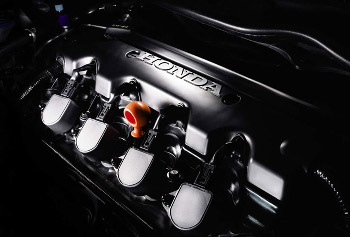 The 2014 Honda Civic’s 1.8L four-cylinder engine boosts performance to 143 and 129 lb-ft of torque. 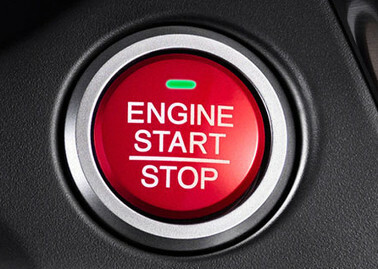 Automatic vs. CVT – If you don’t want a manual transmission, the 2013 Civic offered a five-speed automatic. In 2014, Honda added the option of CVT. Civic Si – The Civic Si’s engine also received a slight boost of power from 201 hp and 170 lb-ft of torque in 2013 to 205 hp and 174 lb-ft of torque in 2014. The Si, along with the LX coupe, also receives a firmer suspension setting for the newer model. Fuel economy did not change. Honda rocked the automotive world when they unveiled the standard features list for the 2013 Honda Civic. Features like Bluetooth, a display screen, rearview camera, and Pandora internet radio were typically options on similar vehicles. 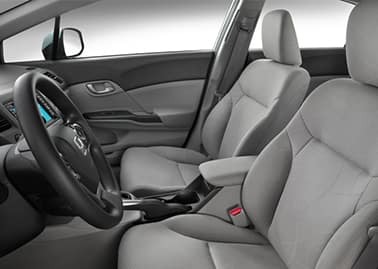 Those standard features return for the 2014 Honda Civic, and Honda has added some exciting optional features like keyless ignition, a bigger seven-inch touchscreen, and increased smartphone connectivity. If you’re looking around Mechanicstown for a model with plenty of gadgets, the 2013 Civic will be fine. If you’re in the position where you want the best-equipped Civic, the 2014 model is a better choice. In 2013, Honda dramatically restyled the Civic sedan, and for the 2014 model they updated the front and rear for the coupe models. If you’re looking at the coupe, you might prefer the 2014 model since the 2013 Civic Coupe retained much of the styling from the 2012 edition. The sedan hasn’t changed in the looks department between 2013 and 2014. The vehicle’s interior has been upgraded with some higher quality materials, but they aren’t dramatic changes. Drivers in and around Middletown will be happy with either model. Whether you choose the 2013 Civic or the 2014 Civic, it will have earned an overall five-star score from the NHTSA and received a Top Safety Pick+ award from the IIHS. That said, the 2014 Honda Civic gained some new safety features. Honda LaneWatch monitors your right-side blind spot with a camera that’s displayed on the center screen inside the cabin. There’s also a new version of HondaLink that will automatically dial emergency services in the event of a crash. To make the final decision on whether you want the 2014 or 2014 Honda Civic, come to Middletown Honda, where you can test drive both. We’re located at 520 Route 211 E. in Middletown, NY, less than 10 minutes away from Mechanicstown. If you have any additional questions about the Civic or if want to schedule a test drive, please contact our dealership at your earliest convenience. Our team will be happy to walk you through the difference between 2013 and 2014 Civic Si models, as well as show you our entire used Civic lineup.